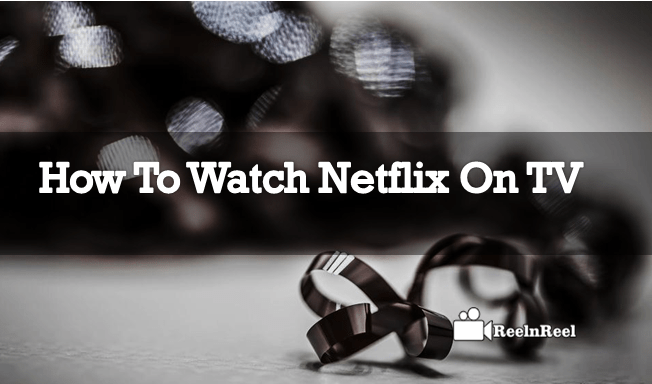 Netflix is the one of the top Streaming Platform for watching Movies, Sports and Live events throughout the world anytime anywhere. We can find evertything to Watch Netflix On TV. There is some streaming platforms like Amazon, Hulu, HBO etc. all followed the path of Netflix. A number of compatible devices available to streaming through Big Screens like TV to watch Netflix on TV. We can watch Netflix on mobile devices through some Apps to download and enjoy the services.Let us discuss one by one in depth. Netflix streaming supports PC’s, Laptops, Mobiles, Chromecast sticks, Gaming consoles, Mobiles phones, tablets and smart TVs. We can choose any of these devices to Watch Netflix on your smart TVs. At first, we should buy a HDMI cable for connecting your TV and Laptop for streaming Movies on your TV. If you already got the cable connect the HDMI cable one side to the back of the TV and connect another end to your laptop/pc. Laptop /Pc should have an internet connection and should maintain Netflix app in it. Most of the Windows laptops have built HDMI ports, in case if you are using MacBook you can see Mini DisplayPort, connect Mini DisplayPort to HDMI. Now change the HDMI inputs on your TV, match the HDMI1,2 or 3 to your ports, set and recognize which input hooked to your laptop. After that, you can see the mirroring of TV Screen in Laptop.Now you can stream Netflix from your Laptop/PC. If you have a new Smart TV in your home like to watch Netflix on the Smart TV you must have an internet connection to your TV. Internet connection may be Wireless or wired that doesn’t matter you can watch movies through Netflix. Nowadays many smart TV’s are preloaded with Netflix app. so if your Smart TV doesn’t have a Netflix app on your TV just connect your TV with Internet connection and download the Netflix app for streaming. 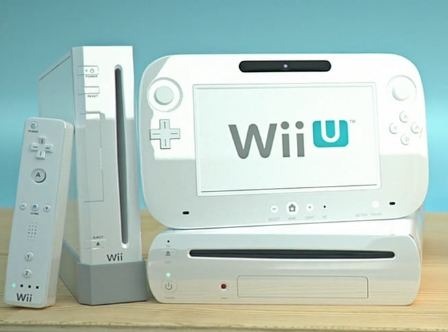 Netflix supports many popular gaming consoles like Playstation3, PS4, Xbox One, Xbox 360 and Wii, Wii U and more. If you are using DVD’s, Netflix support streaming through Blu Ray players. 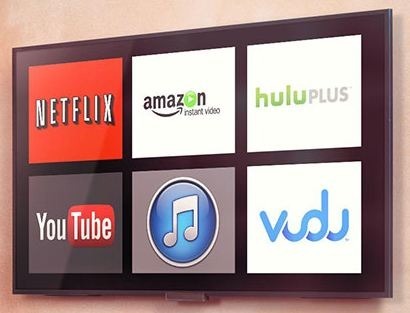 If you do not have Laptop/PC, Smart Tv’s you can even use Streaming Devices like Apple TV, Roku, Amazon Fire Stick and other Chromecast alternatives. For connecting your TV to your streaming devices, you should get first internet connection through WiFi. Latest streaming devices mostly have Netflix app which is inbuilt one. If any of your streaming devices do not have Netflix app you should manually install the Netflix app and change the settings to watch Netflix through TV. It is difficult to watch Netflix movies together if your friends are far away from you. You can now enjoy the Netflix services through the different mobile app while you are in video chatting or video calling. Till now we have seen some ways to watch Netflix on TV, but now we can see the app to watch the Netflix content through mobile apps. Rabbit is an iOS app to freely download in your mobiles. This app is only available for the iOs users through Apple iPhones and iPads. In this app, all friends can watch together create “Rooms” to check what others are watching. On the main screen, you can video chat and right corner you will see the friends who are in the group and sync the Netflix among all friends. This app has a Google Chrome extension for Windows. 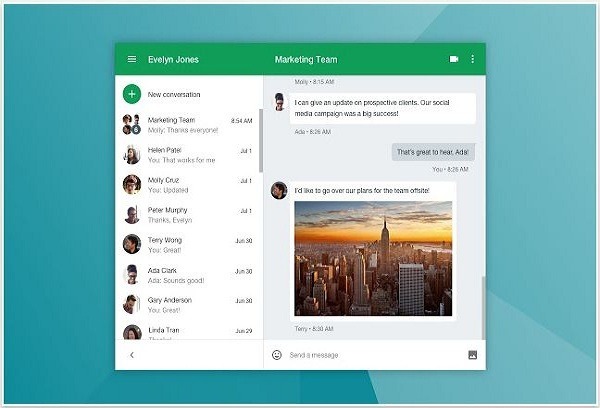 Google hangouts are one of the amazing app ever seen with facilities and all compatible devices. It works for Smartphones, Tablets, Pc’s and more. You can easily hang out with rough video calling, chatting. Once if you established hangouts you can easily Sync the Netflix video content among the friends. 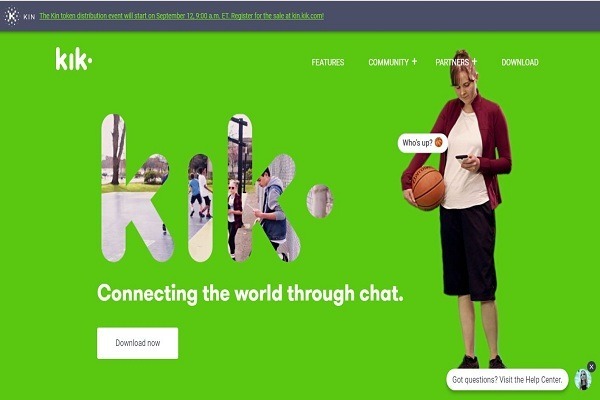 Kik is an Android app which is not only used for messaging for hang outs, rough calling and watch net content freely. This is a free app does not need any phone number it should maintain just usernames. Kik is the best tool to watch Netflix content as a group from different places great app to expose your emotions, feelings, share pics while running the movies and while video chatting. Netflix is the Top Streaming Platform in the worldwide. So you can stream Netflix through different compatible devices. This is an extraordinary guide to watch the Netflix On TV and different apps to watch Netflix on mobile devices. What is YouTube HDR Video?